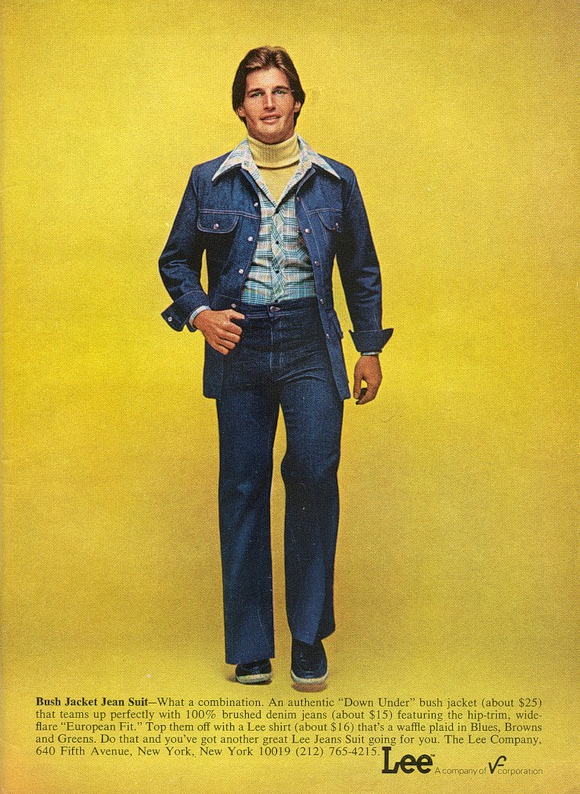 This ad for Lee Jeans circa 1975 is sweet. The chunky turtleneck. The oversized collar over the jacket. The jeans up to your waist à la Fred Mertz. This is almost as bad as the Levis & Spanking White Tennis Shoe Craze of the 80s. God, I miss the 70s – it’s like everyone collectively went crazy or something.